Lufthansa has opened its new Senator Lounge located within the Terminal 1 departures terminal at Dubai Airport. After extensive construction works, the new Lufthansa Senator Lounge at Dubai Airport replaces the previous venue which was in fact a combined Business and Senator lounge. The new lounge at Dubai International has been designed in accordance with the new Lufthansa Lounge Concept. Lufthansa customers traveling on Business Class will have access to the Dubai Airport Marhaba lounge, located opposite the new Lufthansa Senator lounge, while access to Dubai Airports Senator lounge is reserved for First Class customers traveling on Lufthansa, SWISS and Austrian Airlines, or on Star Alliance partner airlines. HON Circle or Senator Status members of one of the Lufthansa Group airlines and Star Alliance Gold card holders will also have access. The lounge at Dubai Airport, which can seat 68, cost 1.2 million euros and is part of the company’s renovation plans to upgrade all of its 60 lounges worldwide. The project which began in 2006 is expected to be complete by 2015 and will cost over 150 million euros. The design and the services provided are reflective of Lufthansa’s first-class customer preferences and offer the highest standards of quality and commitment. Reclining chairs in the relax area as well as comfortable armchairs and leather couches in the calm comfort zone offer the opportunity to sit back and relax or enjoy a wide range of newspapers and magazines. In the bistro area, a selection of hot meals and cold snacks is served for dinner and a rich breakfast buffet is offered in the mornings. A selection of drinks and small snacks is available at any time. The lounge in Dubai Airport is located at Gate 126 and is open daily from 7pm until 9/10am. For guests preparing for an important meeting or working on their e-mails, laptop work places and free wireless internet access is on hand. Furthermore, there are lockers at the reception where visitors can store their luggage during their stay. This is something which you need to take up with star alliance as they will be able to confirm this for you. 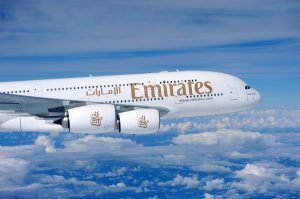 I am flying business on the Dubai – IAD flight in the coming weeks. I am a star alliance Premier 1K member. Will I have access to one of these lounges? Please visit Lufthansa’s website for contaqct information on their senetor lounge..
can I have the contact number for lufthansa senetor Lounge?